Dental implants may be the newest tooth replacement method on the market, but advanced technology has brought them to the forefront of modern dentistry for a good reason. Today, our team at Meriden Dental Group recommends dental implants as the ideal option for most patients with one or more gaps in their smile that are in need of restoration. 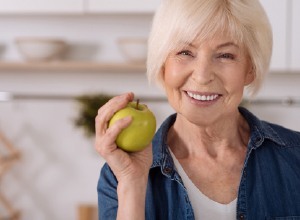 Durable, lifelike, and incredibly beneficial to one’s oral health, implants offer adults relief from the struggles of missing teeth by infusing their smile with newfound support and confidence. Depending on the extent of your tooth loss, you may receive an implant-supported crown, bridge, or denture. Replacing a single tooth is a fairly straightforward process. We’ll simply place one implant in your jaw, and, after your bone has had a chance to heal, place a custom crown on top of it. If you’re missing several teeth in a row, an implant-supported bridge may be the ideal solution for you. This type of restoration is supported by two implants and their accompanying crowns. Pontics (artificial teeth) are suspended between the two crowns. Patients who are missing all or most of their teeth are often candidates for implant-supported dentures, which can replace an entire arch of pearly whites. Your dentist will strategically plan your procedure in order to place as few implants as possible while still providing your new smile with the strong support it needs. An implant denture may be either a fixed or removable prosthesis. 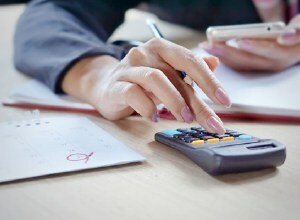 When you come to our office for your implant consultation, we’ll crunch some numbers and give you a realistic idea of the total cost of your procedure. Each step of your implant journey, including placement and restoration, comes with its own price. The number of implants you need, the extent of any preliminary work you must receive, and the type of restoration you’re getting will all affect the cost of your new smile. Although implants may seem expensive, they are well worth it! They are an investment in your oral health and confidence that could last for many decades. Once we’ve determined that you’re a viable candidate for dental implants, our team will begin by sitting down with you and developing an individualized treatment plan. First, you’ll undergo a surgical procedure during which we’ll precisely place small, biocompatible posts (the implants themselves) directly into your jaw. These implants essentially serve as the new “root” of your tooth, helping to keep your jawbone and soft tissue full and healthy while also providing a solid foundation for your restoration. While many dentists must send their patients to outside specialists for this procedure, our Meriden implant dentist has the training and experience necessary to conveniently handle every step of the implant process at our office, saving you valuable time. Once your new implants have fused to your jawbone and healed appropriately, we will complete your new smile by placing your beautiful, new restoration securely onto your implants with the help of abutments, whether you’re receiving a single crown or a full denture. You’ll be amazed by the transformation we’ve created for your smile! 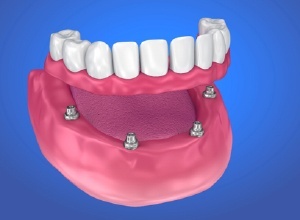 Implants provide whole-tooth replacement. Replacing the root as well as the crown of a missing tooth helps to keep your jawbone strong and preserves the natural shape of your face. With proper care, implants have the potential to last a lifetime. This treatment has an astonishingly high success rate — over 95 percent! Because implants are so strong and sturdy, they allow you to eat just about anything. Maintaining your implants is easy. As long as you stick to an excellent oral hygiene routine and visit us regularly for checkups, it’s unlikely that you’ll have any serious problems with your restored smile. Implants protect your natural teeth by preventing them from drifting out of place. Implant restorations are very beautiful. They’re made of high-quality materials, such as dental porcelain, that closely resemble the appearance and feel of natural teeth. If you are curious about what dental implants could do for your smile, be sure to contact us today to schedule an appointment. In fact, we currently have an offer where your first implant consultation is FREE.